Musée de la danse est subventionné par le Ministère de la Culture et de la Communication (Direction Régionale des Affaires Culturelles / Bretagne), la Ville de Rennes, le Conseil régional de Bretagne et le Conseil général d’Ille-et-Vilaine. Not at all a fan of refined ballets, Boris Charmatz considers dance to be “a thought that is read, written and shaken about until it takes shape”. 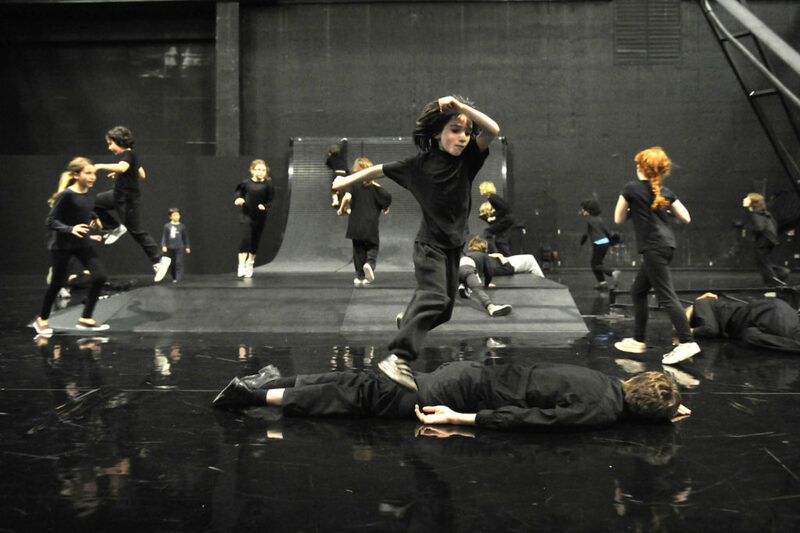 First performed in the Cour d’honneur of the Palais des Papes at the Festival d’Avignon in 2011, enfant brings together nine professional dancers, a bagpiper, a group of children and a wrecking crane. But instead of the exuberant vitality that might be associated with the very young, the children arrive on stage lifeless, carried by the dancers who then place them on the floor. Charmatz calls it “the dance of the sleeping and abandoned”. Gentleness and delicateness then make way for much more vigorous manipulations and an inversion of roles, with the children taking malicious delight in manhandling the adults’ bodies. Who is leading the dance? A constantly evolving mass, the raging swarm in enfant allows a game of tension and release to emerge that combines the force of inertia with a process of transformation, producing hybrid images suspended between rest and agitation, dream and dancing in a ring. Bord de scène : rencontre avec les artistes à l’issue de la représentation du vendredi.